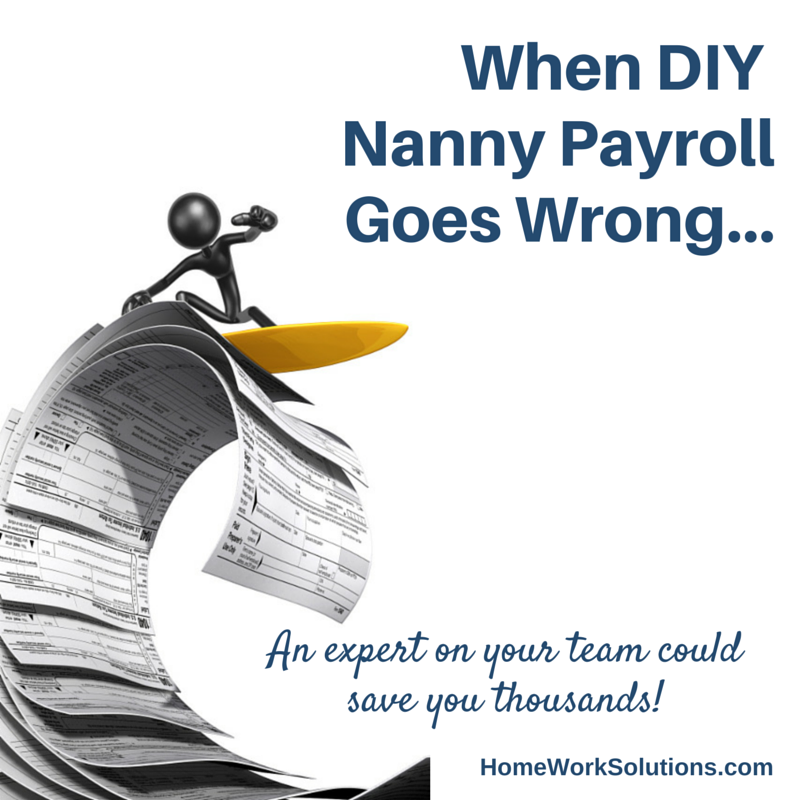 Nannies and senior caregivers who work in a private home, receive instructions and directions from the family employer and are paid by the family (either directly or via a household payroll company) are employees in the eyes of the IRS and US Department of Labor. As employees, many aspects of compensation and payroll are governed by payroll and labor law, no different than employees in a department store, factory or othr workplaces. Tax and labor law that covers household employees are often unique, and all too often neither the family nor the caregiver know the important details. 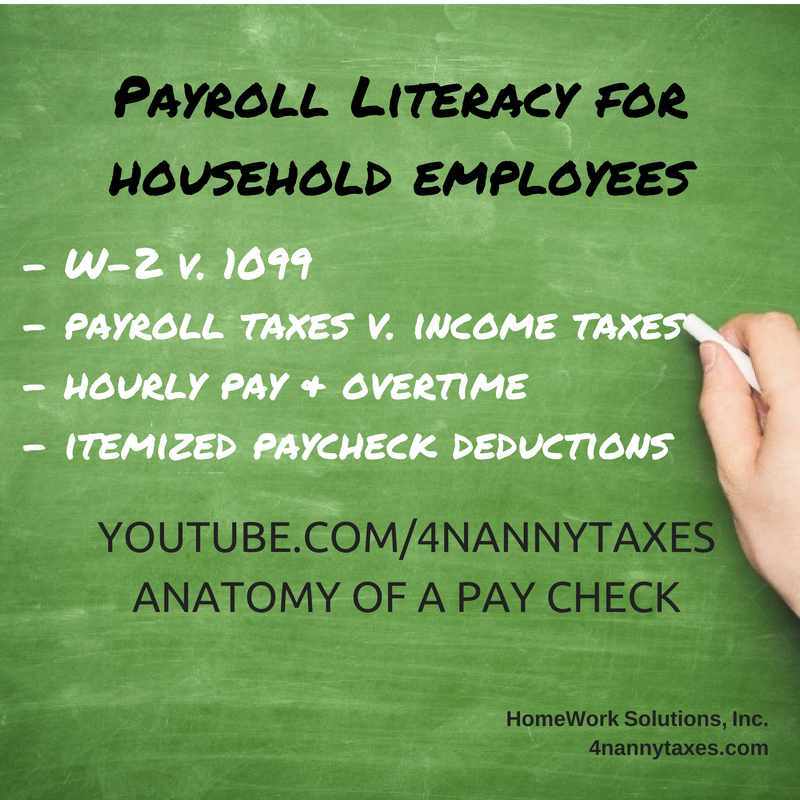 Household payroll literacy on the part of a nanny or senior caregiver is important as they negotiate pay and benefits with their employers, many of whom don't understand these key points themselves.